Updated version of the original Foal in Mare DVD. This new edition has a new scene 'premature placental separation'. 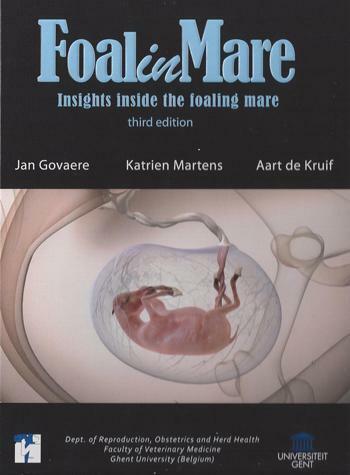 The text includes the original scenes 'normal development of the foal, normal and abnormal stages 1.2.3 prolapsvesicae, uterine torsion and many other complications pre and postpartum, mal-posture, repositions and foetotomy, caesarian section, repositions and much more. Also a range of translations are available on this product: English, French, German, Italian, Spanish and subtitles in Dutch, Japanese, Chinese, Estonian and Portuguese. More than 60 minutes of film and 3 -dimensional animations.